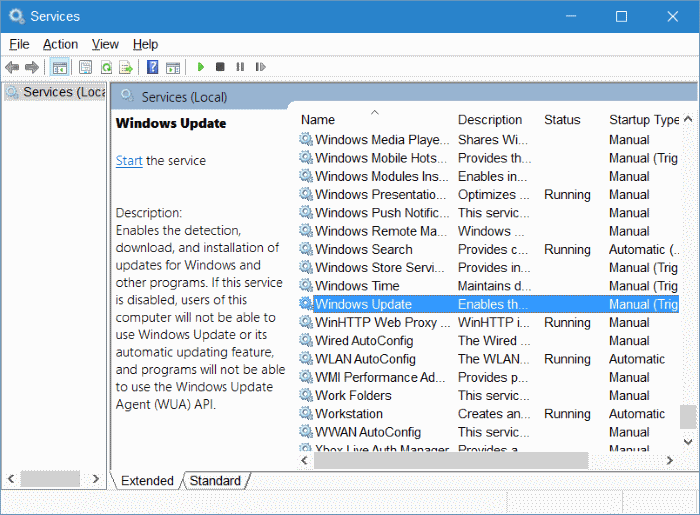 Unless you have manually disabled Windows Update service or used a third-party tool to disable Windows Update, the Windows Update works without any issues for most users. That said, there are users who have been encountering issues while downloading or installing Windows Updates in Windows 10. When Windows Update downloads an update, it automatically tries install the same. At times, you might see errors while installing updates. This usually happens when the downloaded update is corrupted and the issue can be fixed by clearing the Windows Update cache. When the Windows Update cache is cleared, the Windows Update will download a fresh copy of the update to install the same. When the Windows Update is not working as it’s supposed to, it’s a wise idea to run the built-in Windows Update troubleshooter. 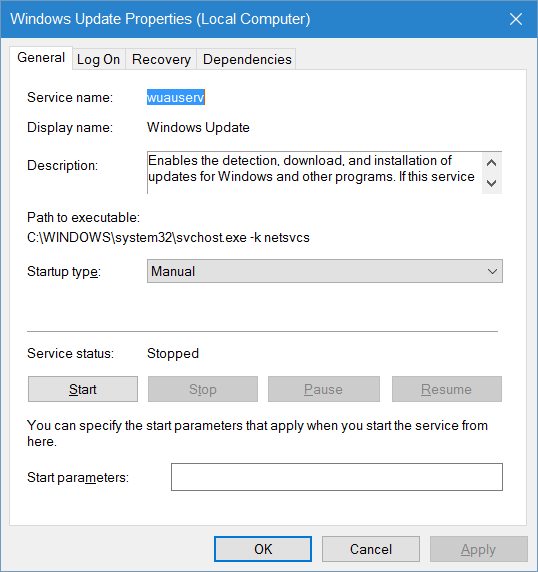 The Windows Update troubleshooter can be accessed by navigating to Control Panel, changing View by to Small icons, clicking Troubleshooting, and then clicking View all link in the left pane. At times, just running the Windows Update troubleshooter might not help fix Windows Update issues. Clearing the Windows Update cache might fix the issues, especially when you have trouble installing updates. 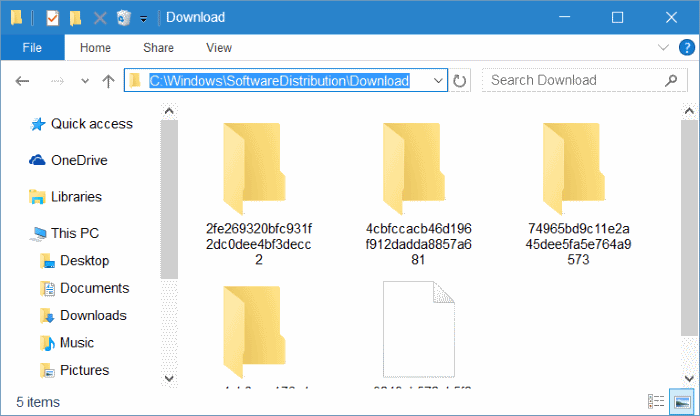 In this guide, we will see how to clear Windows Update cache in Windows 10. Step 1: Before we can delete the Update cache, we need to stop the Windows Update service. To do so, type Services.msc in Start menu search box and then press Enter key to open Services window. Step 2: Look for Windows Update service entry, double-click on the entry to open its properties dialog. Step 3: Under the General tab, click the Stop button to stop Windows Update service. Click OK button. Step 4: Open up the drive where Windows 10 is installed. For instance, if Windows 10 is installed on “C” drive, open up the same. 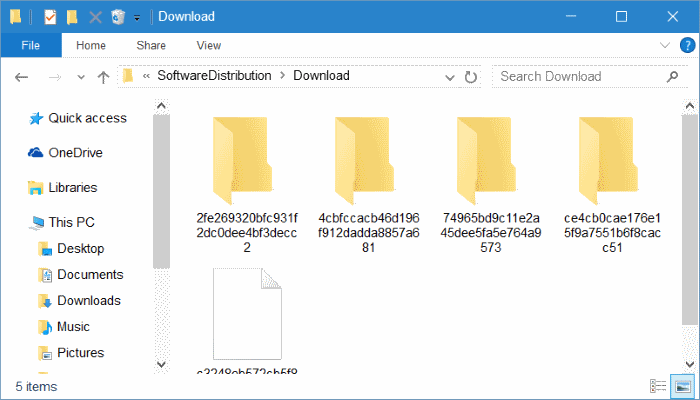 Navigate to Windows\SoftwareDistribution\Download folder. That is, if Windows 10 is installed on “C” drive, you need to navigate to C:\Windows\ SoftwareDistribution\Download directory. 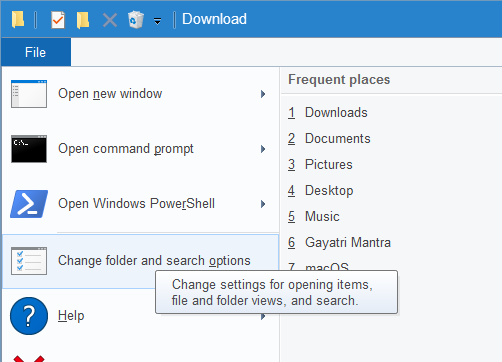 Step 5: Once you are in the Download folder, click File menu, click Change folder and search options to open Folder Options. 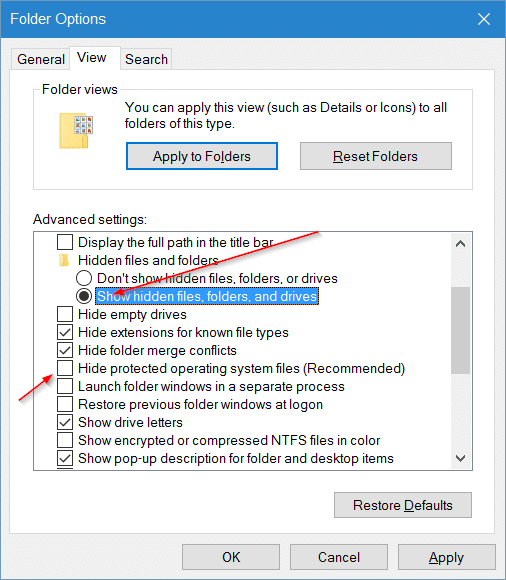 Under View tab, select the radio button labelled Show hidden files and folders and drives option. Next, uncheck the radio button labelled Hide protected operating system files. Step 6: You should now see files and folders. Select all files and folders and then delete all of them by clicking Delete key. If the see the Folder Access Denied dialog box with “You will need to provide administrator permission to delete this folder” message, select Do this for all current items check box, and then click Continue button. If you’re asked to enter the admin account password, please type in the same. You have just cleared the Windows Update cache. Follow the next two steps to start the Windows Update service which you stopped in the first three steps. 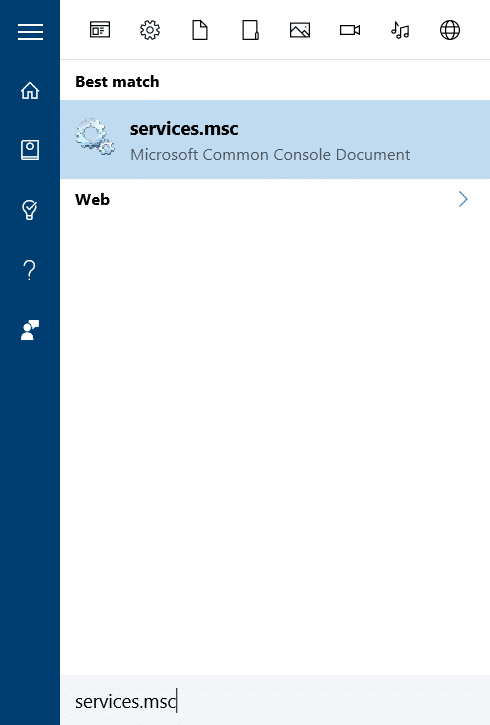 Step 7: Type Services.msc in Start menu or taskbar search box and then press Enter key. 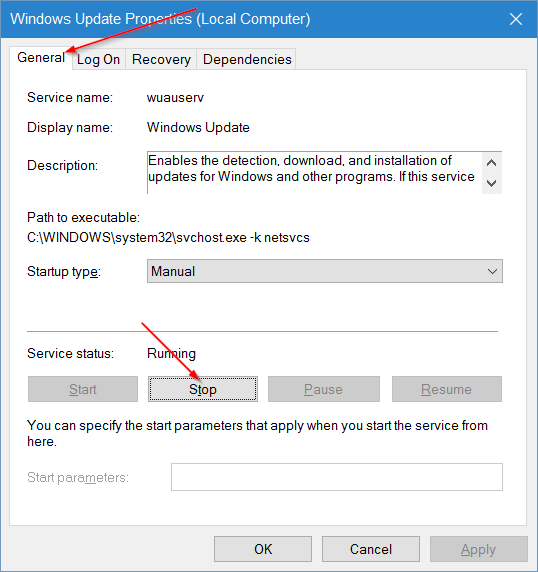 Step 8: Once Services window is opened, click double-click on Windows Update service and then click the Start button to start the stopped service. Click OK button. That’s all! You have successfully cleared the Windows Update cache in Windows 10. Hopefully, this will solve your Windows Update issue. I left my PC open for the whole night and in the morning it looked the installation had completed but still the problem persisted. In the end it just occurred to me that few days back I had downloaded Mozilla Fire Fox browser and uninstalled it. Apart from Internet Explorer I use Google Chrome. So I uninstalled Google Chrome as well. And then reinstalled Google Chrome. My problem seems to be over.